China Post e-News: UPS PARTNERS WITH MATTERNET TO TRANSPORT MEDICAL SAMPLES VIA DRONE ACROSS HOSPITAL SYSTEM IN RALEIGH, N.C.
ATLANTA, MARCH 26, 2019 – UPS (NYSE:UPS) today announced a groundbreaking new logistics service to deliver medical samples via unmanned drones through a collaboration with Matternet, a leader in autonomous drone technology. The program is taking place at WakeMed’s flagship hospital and campus in the Raleigh, N.C., metropolitan area, with oversight by the Federal Aviation Administration and North Carolina Department of Transportation. Today’s flight marks the beginning of numerous planned daily revenue flights at the WakeMed Raleigh campus. “UPS Healthcare and Life Sciences is excited to expand on our current lab specimen logistics portfolio to drive step change in today’s delivery models,” said Chris Cassidy, UPS President of Global Healthcare and Life Science Strategy. The program will utilize Matternet’s M2 quadcopter, which is powered by a rechargeable lithium-ion battery and can carry medical payloads weighing up to about 5 lbs. over distances of up to 12.5 miles. 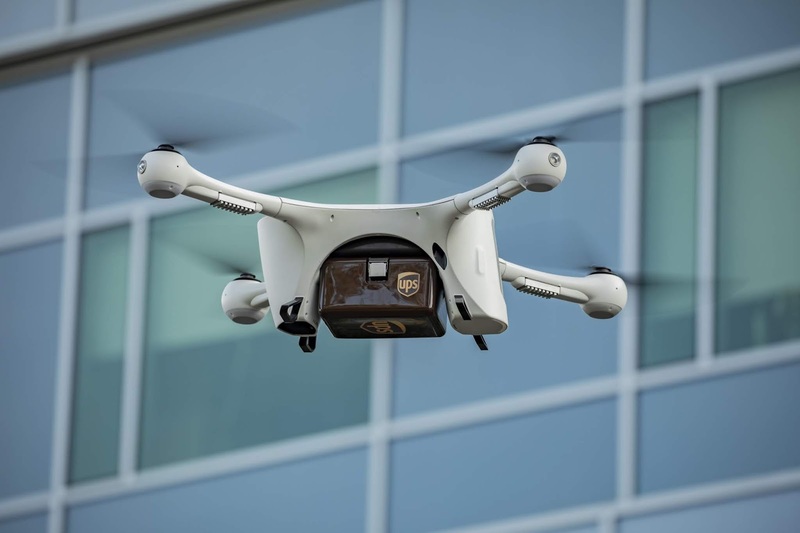 "Together with UPS, we aim to shift the status quo for on-demand logistics for healthcare systems in the U.S. through drone delivery networks,” said Matternet Founder & CEO, Andreas Raptopolous.